In the last fifteen years the history of individual wartime aircraft has begun to drive their value. 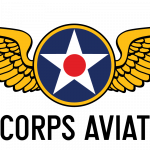 In other words, if your warbird has combat history or was flown by a famous pilot or group, it could potentially increase its value. 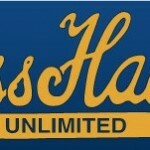 That all seems to make sense and is fairly typical across the spectrum of collectibles. An unfortunate side-effect of this value approach is the temptation for the history to be artificially inflated or in some cases manufactured. 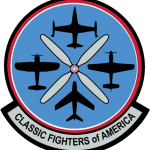 Most warbird owners I speak with feel they are caretakers of these historic objects for the future, and I believe that to be true in the clear majority of cases. This is especially true of organizations that consider themselves flying museums. 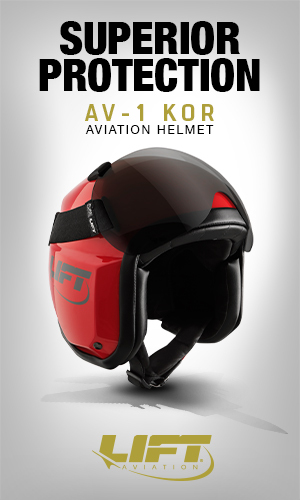 It is only through immense effort that these aircraft are kept airworthy. 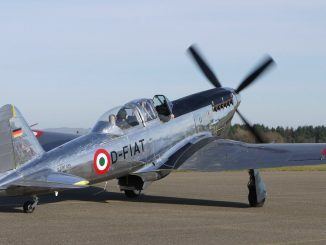 Recently one such group has capitalized on the approach of warping the history of their airplane as part of a well-orchestrated fundraising campaign. I have been told the end justifies the means, but does it? Should we be misrepresenting history just to accomplish a goal? I don’t believe we should, because I believe it dishonors those who came before us. The aircraft that we fly have great stories in themselves—it isn’t necessary to embellish their individual histories to tell a story…or to raise money. At least that is my two cents. 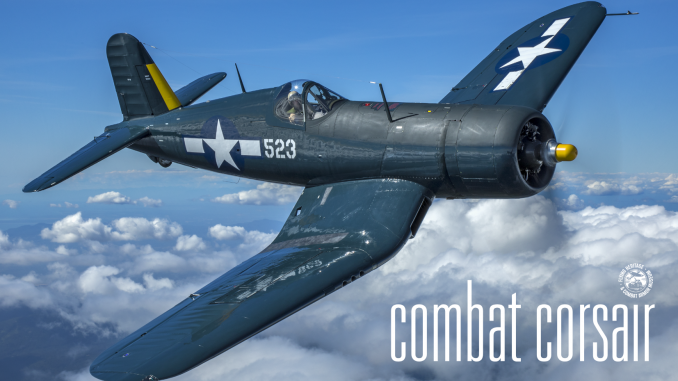 Speaking of combat veterans, in this issue we feature the Flying Heritage and Combat Armor Museum’s (FHCAM) Goodyear FG-1D Corsair. This unique survivor made it to the Philippines at the tail end of the war and carried out a number of ground attack missions. Amazingly, the original logbooks for the airplane survive and now rest in the archive at FHCAM. This has allowed them to be cross-referenced with the War Diary of VMF-115 with which it served. 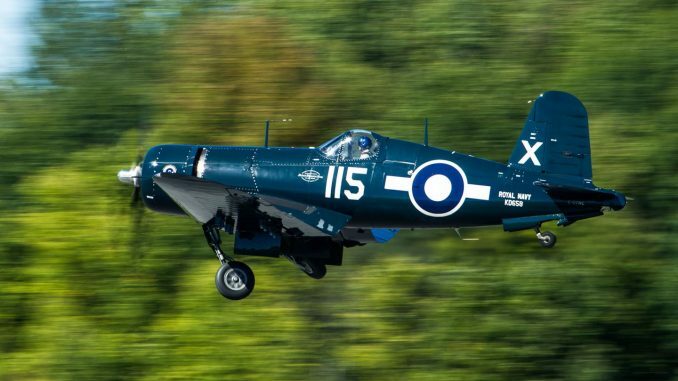 In an age when we are rebuilding combat aircraft from the smallest piece, this Corsair is one of the few that had not been significantly damaged or restored until present. 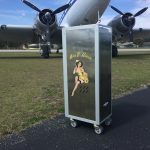 Ezell Aviation did an excellent job of preserving the original look of a factory fresh FG-1D while returning it to the air. On the other end of the U.S. Marine Corps spectrum is Rich Sugden’s Douglas Skyhawk, which recently returned to the air after an extensive rebuild. 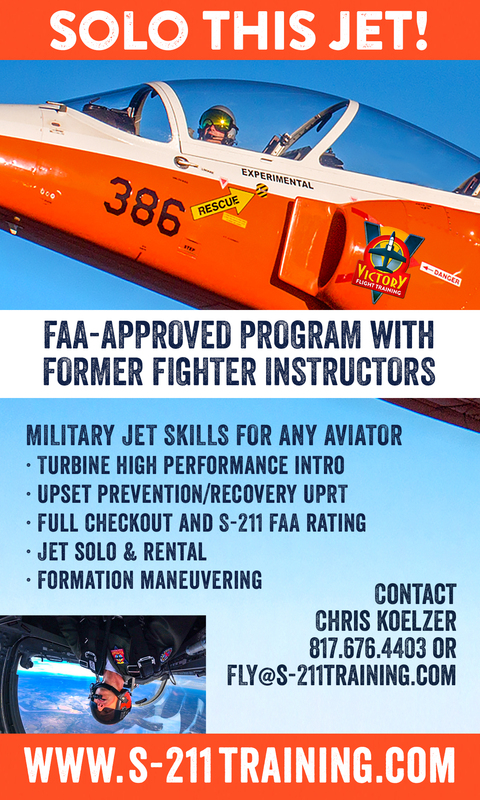 While rebuilding a complicated ex-military jet can be challenging enough, Sugden has also been engaged in a nearly decade-long legal battle with the U.S. Government over Skyhawk parts. It is discouraging that nearly every time American citizens wish to preserve their history they are thwarted by their own government. 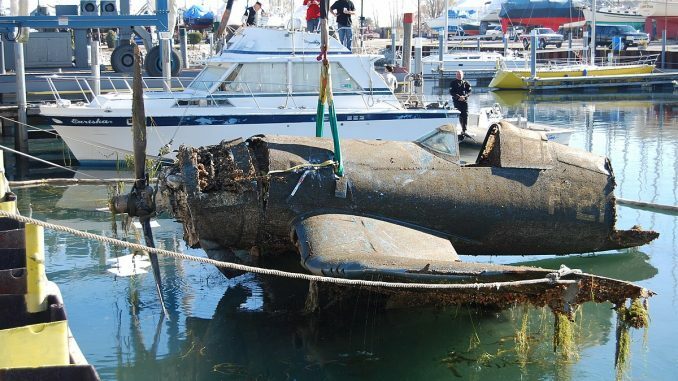 From the U.S. Navy preventing the recovery of underwater wrecks to the recent destruction of multiple formerly preserved aircraft in Illinois, it is clear that we cannot rely on our government to protect our history. 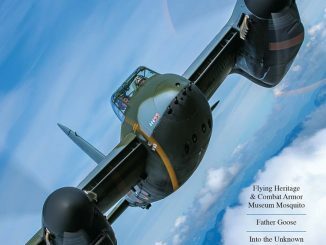 Warbird Digest updates you on the Sugden litigation as well as the effort to represent an all but forgotten part of U.S.M.C. history. We appreciate all the feedback we have received on the new direction of the magazine as well as the great story ideas for the future. 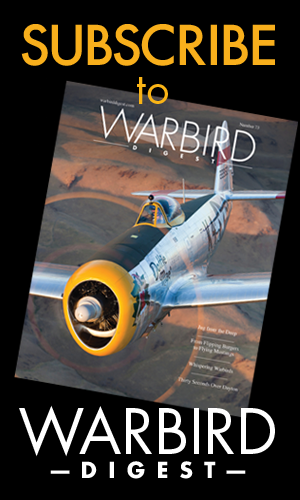 If you have a product or service that you would like to promote to warbird owners, we would love to add you to our growing list of advertisers. 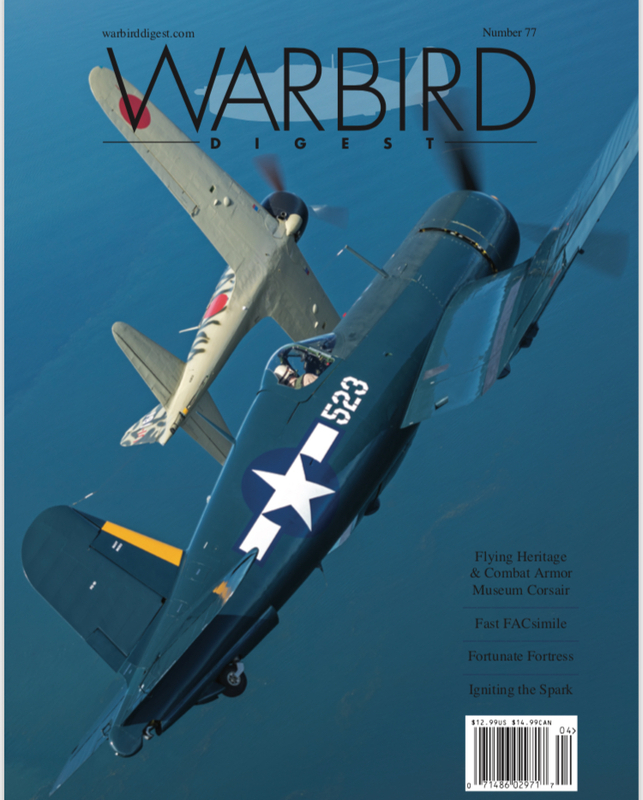 Remember, Warbird Digest is delivered to every registered warbird owner in the United States. 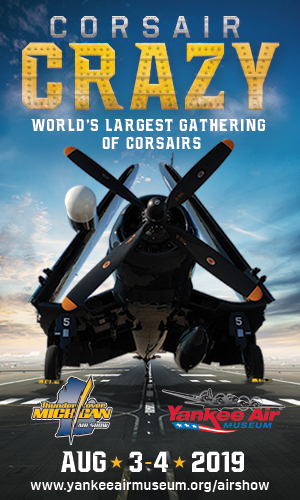 COMBAT CORSAIR – Few surviving Corsairs can lay claim to having actual documented missions flown against the Japanese in World War Two. 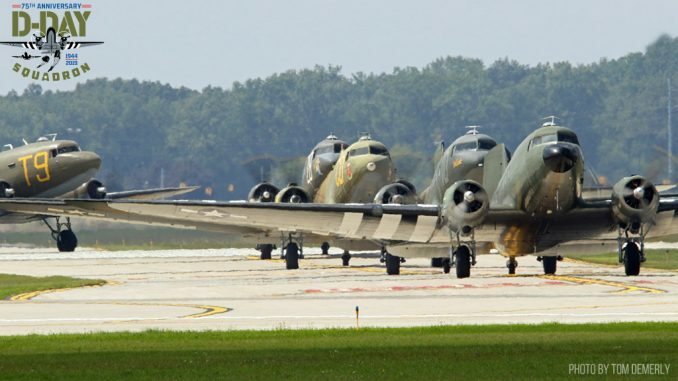 The latest restoration to emerge from Ezell Aviation can and is a great new addition to the Flying Heritage & Combat Armor Museum’s growing fleet of warbirds. FAST FACSIMILE – Dr. Richard Sugden attempts to perform an operation that would transform a TA-4J trainer into an OA-4M Fast FAC. What’s the prognosis? 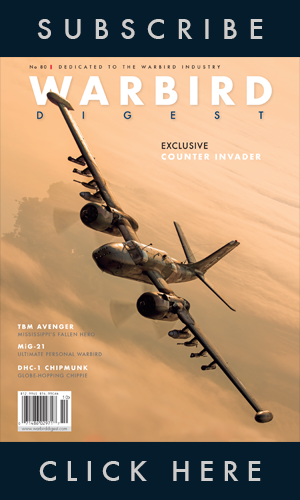 Warbird Digest gives you the full treatment. 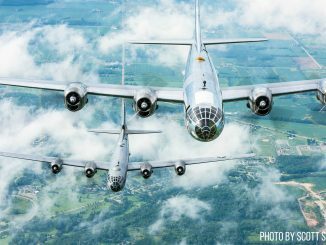 FORTUNATE FORTRESS – With a long history of both military and civilian operation, this Flying Fortress survives today as a result of its usefulness in the many roles it has performed over the years. 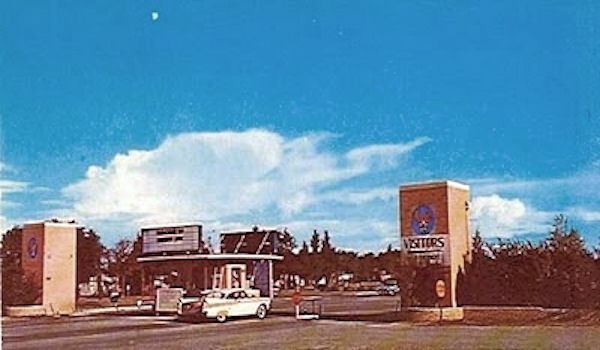 It has been maintained in nearly continuous operation since being built in 1944. IGNITING THE SPARK – Passionate about flying, this Texas businessman is eager to invest in the future by taking aviation-minded youth under his wing, setting a course for their future. 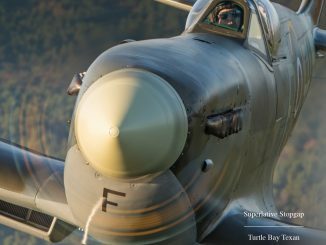 NORWEGIAN TROJAN WARRIOR – From flying combat missions over the jungle in Southeast Asia to scenic flights over Norwegian fjords, this well-traveled Trojan has found a new home. FLYING WITH JUNIOR BURCHINAL – An unforgettable adventure in Paris…Texas! 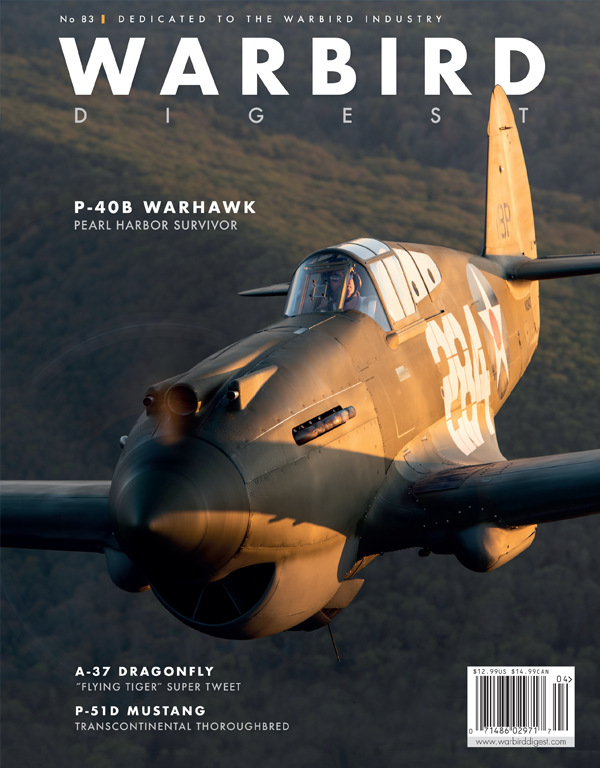 As a supporter of Warbirds News, we thought you would enjoy a little thank you from us, with a $15 one-time discount off the base price subscription for the print version of Warbird Digest. Simply enter WBN17 in the discount code when you register. To receive our high quality 100 page magazine six times a year click HERE and redeem your discount!